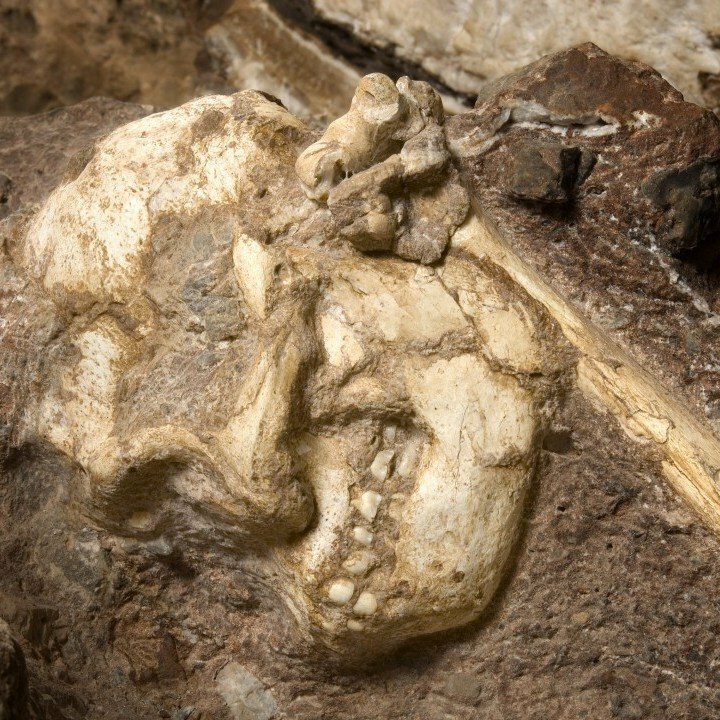 Little Foot is one of the most important, yet enigmatic, fossils out there. It is clearly an Australopithecus – one of our early, more ape like relatives – but is encased in rock. This makes it a tad difficult to study. It might actually be a whole new species, but we can’t get at it. Frustrating. 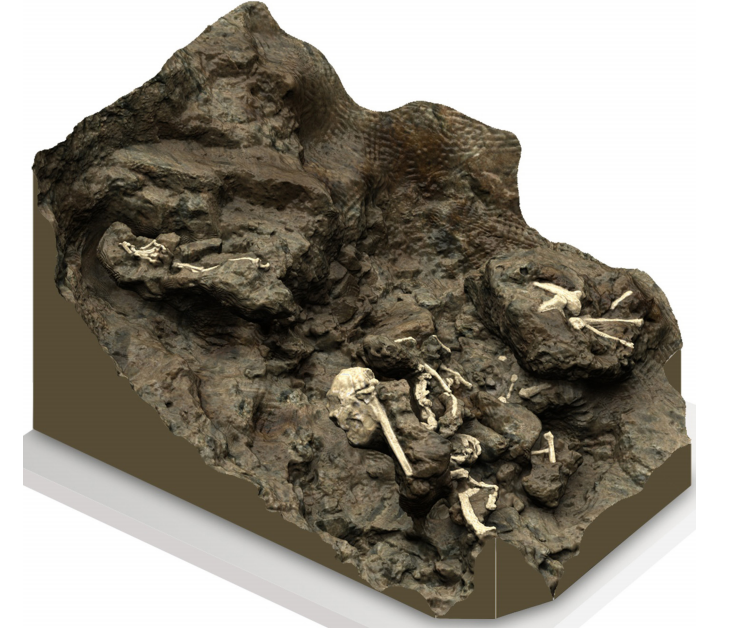 Now new research makes Little Foot gets even more tantalising by revealing it’s more than a million years older than we thought. These new dates push it back from 2.2 million years old to at least 3.6 million years old. These dates also make it a contemporary Australopithecus afarensis. That’s Lucy‘s species; FYI. Little Foot was found way back in 1994; so why did it take us so long to figure out how old it was? Well, the issue was that Little Foot was stuck in rock. Specifically, rock that is pretty tricky to date. It’s quite easy to figure out how old, say, volcanic rock is because it has a definite “start” point. Being shot out a volcano. Fortunatley, many early fossils are found in volcanic regions; but not Little Foot. It is stuck in brecca. A concrete-like substance that gradually builds up over time. No volcano there. The other issue is that this slow build up of rock means that the rock layers (known as strata) are quite difficult to identify. In fact, it was recently news when scientists computer-mapped these strata; allowing them to figure out how they are connected. So even if we did figure out how old a particular strata was, it would be hard to figure out if it formed before or after Little Foot got stuck in the ground. As such, previous dates had to be based on other things. Like flowstones. These are minerals deposited in the cave by water (a similar process that forms stalagmites and all that) Since they do have a start point (and contain a datable material) we can figure out how old they are. And those dates indicate that it was 2.2 million years old. However, the strata is complex. It turned out that those flowstones belonged to a rock layer formed after Little Foot died. One alternative was to date flecks of quartz in Little Foot’s brecca. These contain radioactive particles, whose decay can be measured to figure out how old they are. However; quartz doesn’t really have a start point so this method seems kind of worthless. We could figure out that a fleck of quartz is 4 million years old, but we don’t know if that fleck is the same age as Little Foot. So scientists examined a whole load of quartz. Whilst each might have a different starting history, they all have the same later history. Being stuck in the ground with our fossil. This allows for some fancy statistics to be used to hone in on the length of time all this quartz was stuck with Little Foot. The result is that it’s 3.6 million years old. What’s so special about Little Foot anyway? So now we know Little Foot was about 3.6 million years old. Why is that special? Well, given that a lot of Little Foot is still locked away in the rock it’s hard to say for sure. It seems to be a very complete fossil though, so when we do eventually get it out of the rock we’ll learn an awful lot about what our ancestors were like 3.6 million years ago. Nevertheless, whilst I can’t give specifics there is still something special about Little Foot: it could have been friends with Australopithecus afarensis (more commonly known as Lucy’s species). And Kenyanthropus platyops. And the Burtele Foot. And Australopithecus deyiremeda. And a bunch of others. In other words, it seems even our early ancestors were very diverse. If Little Foot is actually a new species, then our family tree gets even bushier still. This diversity is typically evidence that a group of animals is doing really well. Expanding into new environments, adapting to new scenarios, eating new foods. And they began to specialise into different species, each well suited to doing those things. We might imagine our ancestors as scared and weak; but really they were one of the dominant African species as early as 3.6 million years ago. Humans rock. Then we get trapped in rocks. Granger, D. E., Gibbon, R. J., Kuman, K., Clarke, R. J., Bruxelles, L., & Caffee, M. W. (2015). 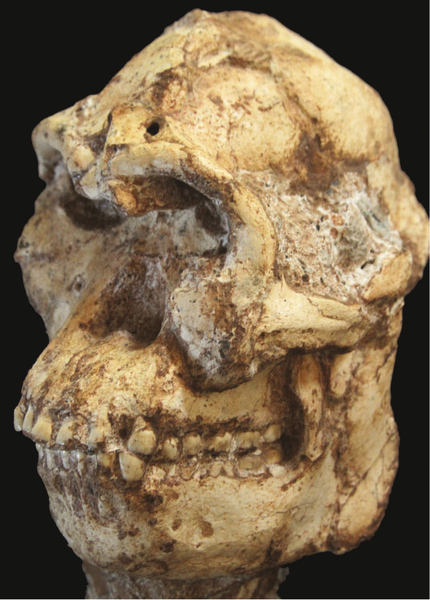 New cosmogenic burial ages for Sterkfontein Member 2 Australopithecus and Member 5 Oldowan. Nature. Previous post: Can we trust chimps to tell us about human evolution? Next post: Did palaeolithic people domesticate horses?